Get ready to have your minds blown. 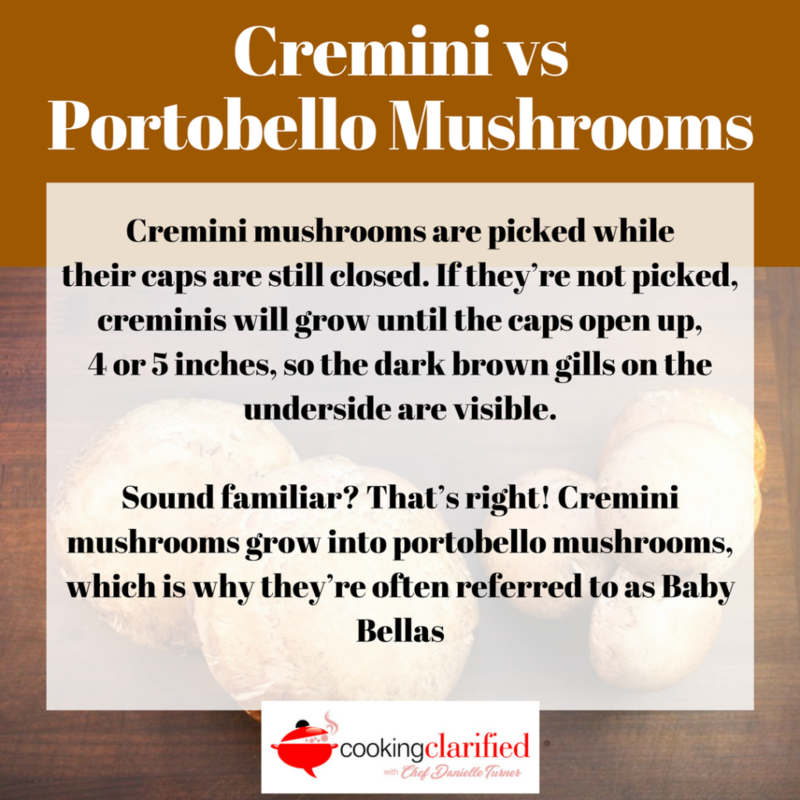 I’ll give you a minute to brace yourselves….Cremini and Portobello mushrooms are one and the same. Yep. Here’s the deets. Cremini mushrooms are similar in size and shape to white button mushrooms. Unlike white button ‘shrooms, creminis have a deeper, earthier flavor and a darker color. Cremini mushrooms are picked while their caps are still closed. If they’re not picked, creminis will grow until the caps open up, 4 or 5 inches, so the dark brown gills on the underside are visible. Sound familiar? That’s right! Cremini mushrooms grow into portobello mushrooms, which is why they’re often referred to as Baby Bellas. Like portobellos, cremini mushrooms have a delicious, meaty texture that gives dishes a hearty feel. Check out my tips on cleaning and sautéing mushrooms to make sure you get it right! Drain and rinse the beans thoroughly. Adding any of the thick, starchy liquid they’re canned with will change the consistency of your sauté. Start with a nice, hot pan! If your pan’s not hot enough your mushrooms will stew, not sauté. Once the mushrooms and beans are in the pan, don’t over stir. Heat oil in a large sauté pan or skillet over medium high heat. Add mushrooms and saute, stirring occasionally, until mushrooms soften and begin to brown, 3-5 minutes. Stir in thyme and beans and continue cooking until beans are heated through, and mushrooms are brown, another 3-4 minutes. Season to taste with salt and pepper.